“We are growing one challenge after each other”. We are proud to celebrate our 3rd Birthday during this month of May. 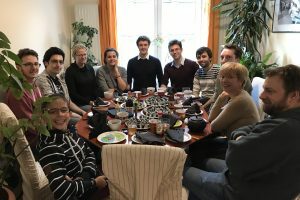 AMIA Systems was created the 7th of May 2014 after a long path initiated in 2010 with the thesis of Emmanuelle Vin, our CEO. 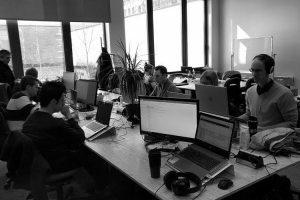 Three intense years of growth and learning later, our company is pushed by 9 team members working hard to improve and facilitate industrial operations. What do we do? We develop software solutions for factory layout design and planning & scheduling operations. We share our practical and theoretical expertise through lean and operational excellence training. This birthday is also a perfect occasion to celebrate our successes and look back to our achievements and milestones. What are we focusing on right now? SIMOGGA WMS: an application allowing to visualize, optimize and quantify warehouse activities based on Warehouse Management System data extraction. 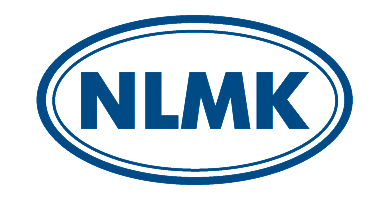 Operational excellence consulting and training such as the one we provide to our partner NLMK Clabecq. This birthday is also the perfect occasion to thank our clients and all the individuals that backed us, trusted us and motivated us to ease and renew manufacturing operations.